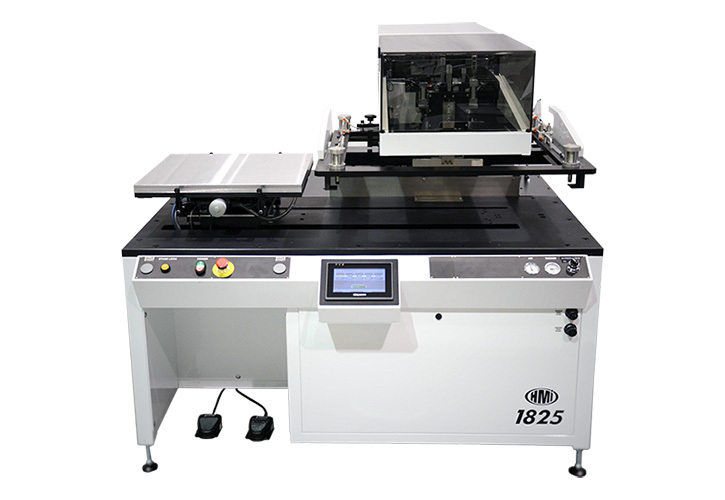 MSP-885 Semi-Automatic Screen Printer (MSP-885): Semi-Automatic Screen Printers | Hary Manufacturing Inc.
A very flexible production printer mounted in a rectangular frame with a reciprocating substrate carriage; literally thousands of these printers are in use around the world. 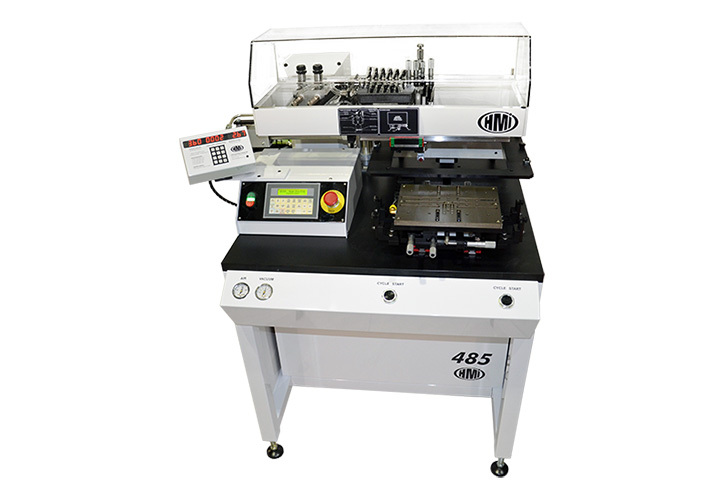 The MSP-885 Semi-Automatic Precision Screen Printer is a time-tested testament to the standards of electronic production engineering. Developed and refined, modernized and enhanced over its 30 year history, the MSP-885 is the work horse of the global thick film industry. 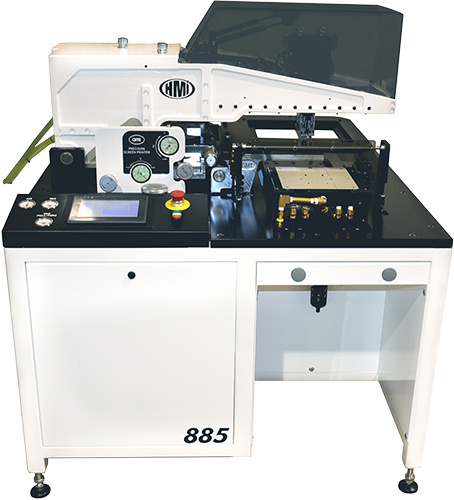 Available as a stand-alone printer, the MSP-885 can be modified in the factory, or in the field, to become part of an automated assembly system. 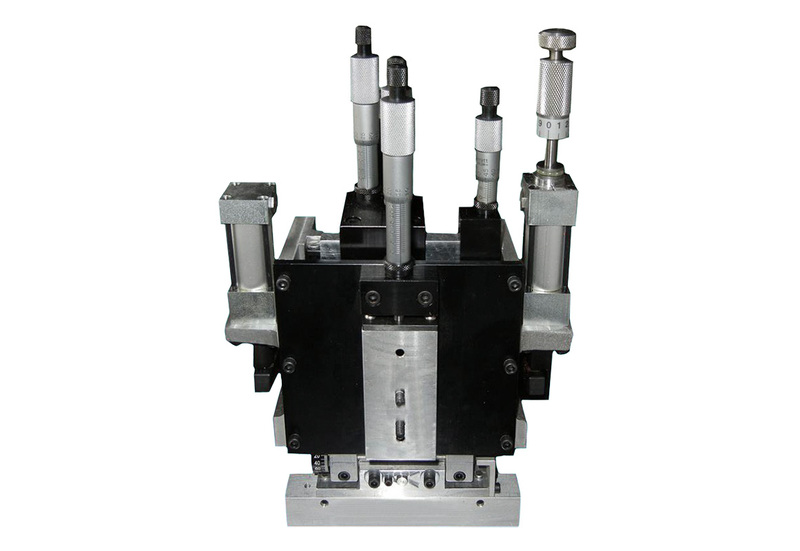 Even the print head assembly, alone, is available for integration into a rotary or in-line production application. 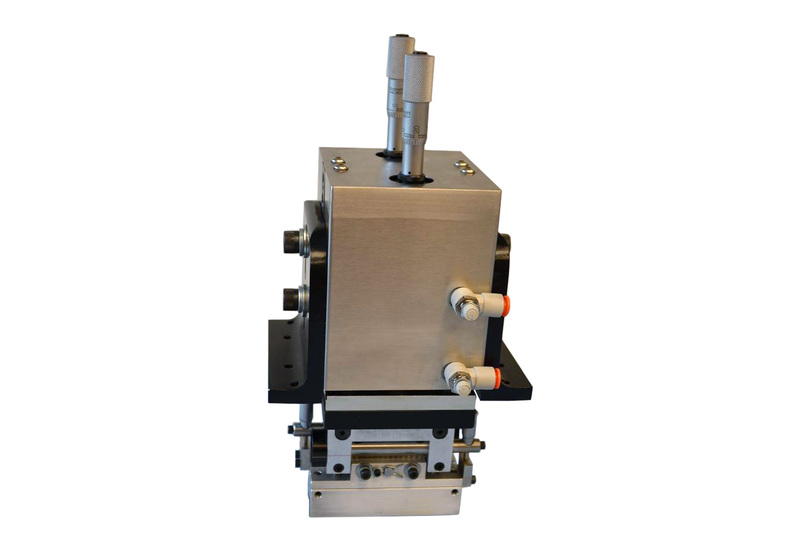 Intended for high-volume production applications, the MSP-885 has a fixed tooling stage. Several methods of mechanical alignment of the substrate to the tooling can be custom designed to accommodate a specific substrate. The print alignment is controlled by moving the screen in X, Y and T. The MSP-885 can deliver precisely registered, uniform results, print after print. The MSP-885 is operated using a programmable logic controller (PLC). Several different print modes and delay sequences can be selected. Print control, squeegee drive and motion settings are controlled manually using precision adjustments that can be locked into place. Reliable and repeatable printer setups can be achieved using the indicators provided. The MSP-885 is available with an optional squeegee speed indicator and cycle counter monitor. The printer can also be fitted with a manual vision alignment system. Several types on load and unload HMI automation equipment (link to automation equipment) can be integrated with the MSP-885 to enhance production throughput. 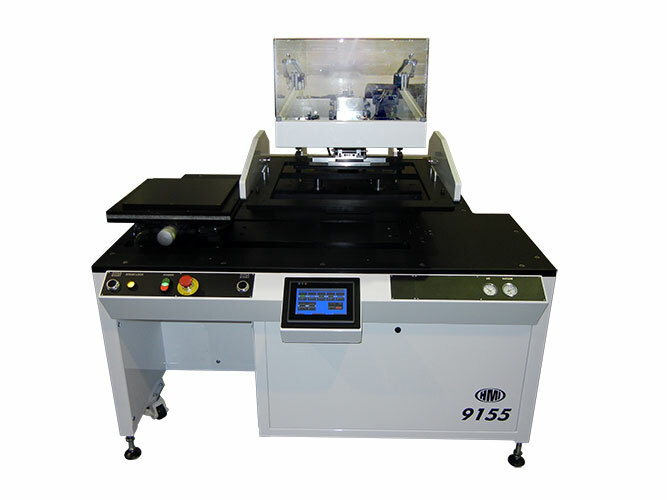 The MSP-885 screen printer is a versatile machine that is adaptable to almost any production environment. At the core of this unit is a solid performance base, capable of delivering some of the best possible results in the precision printer industry.